At Suncoast, our Prep – Year 12 curriculum provides challenging opportunities and stimulating learning experiences that enable all students to explore and build on their God-given gifts and talents. 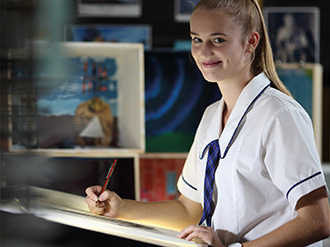 The Prep – Year 12 curriculum is founded in the Australian Curriculum and is comprehensive and balanced; striving for high standards of understanding and skills in the learning areas of the Arts, English, Health and Physical Education, Mathematics, Science, Humanities, Technologies and a Language. Our goal is to personalise learning to meet the diverse needs and capabilities of each student. Our focus is to ensure that students view their own success, measured by distance travelled not necessarily by academic results achieved. Importantly, it is our desire to support all of our students to become successful learners, confident and creative individuals, and active, informed citizens. Our Christian perspective underpins all aspects of learning with a focus on academic, spiritual, emotional, social and physical development. 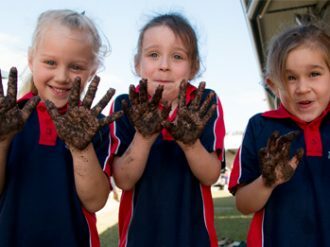 Junior Primary (Prep – Year 3) students develop their knowledge through both the formal curriculum, which includes the planned, taught and assessed learning of the students and the informal curriculum, inherent in the relationships, interactions, practices, processes, systems and structures that surround learning. Specialist staff instruct students in Languages, Health and Physical Education and the Arts. The Upper Primary (Years 4 – 6) curriculum introduces an additional specialist lesson in Visual Arts. We acknowledge that no learning area exists on its own and it is, therefore, concerned with integration and the interrelationship between them. 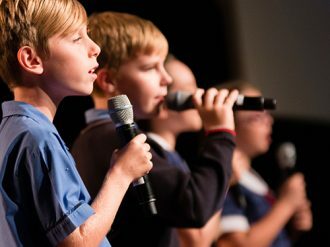 Students study core subjects and a range of electives in the Middle Years (Years 7 – 9). These include the Arts (Music, Dance, Art and Drama), Health and Physical Education and Technologies. In the Senior Years (Years 10 – 12) students choose from a wide range of academic and vocational courses. We are committed to giving students a meaningful and valid post-school pathway to University, a traineeship or apprenticeship, by being a registered training organisation.